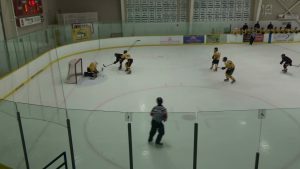 Comments Off on Bruins play one of their best games of the season over Clarington! 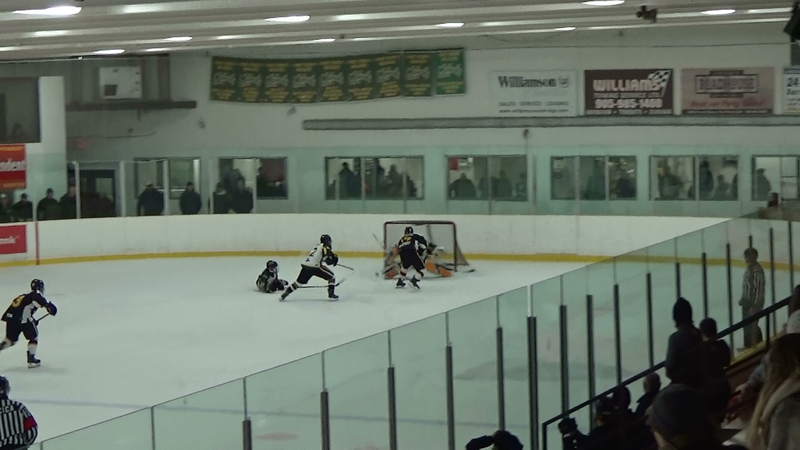 Bruins play one of their best games of the season over Clarington! It was a scoreless first period but a well played one before Uxbridge got two goals in the second. Michael Rennie popped home a shot of the back boards that deflected over to him and he had the wide open net to shoot at. 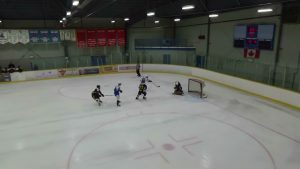 Kyle Spataro’s point shot deflected off a player in front and through the legs of the Eagles net minder for a 2-0 lead. The Eagles scored early in the third to cut the lead in half but the Bruins kept pressuring and were rewarded with an insurance goal on a great pass by Aiden Reilly to Derek Dolan. Adrian Addante picked up his first point as a Bruin also assisting on the play. Some great goal tending again by Ryan McConkey for the “W” as he faced 38 shots, the Bruins fired 32 at the Eagles Mark Robb. The Bruins need a little help from the Mojacks Thursday night. A Port Perry win will keep the Bruins chances alive to finish 3rd in the battle with Clarington. Uxbridge host Clarington again on Fri. Feb.2nd at the Bear Den. Comments Off on Bruins Win one for Damien! Bruins Win one for Damien! With Damien Heinle at home resting after last nights injury, the Bruins players dug deep and came back from 2-0 and 3-1 deficits to win 4-3 in overtime. Aiden Reilly turned on the jets and scored on a break away just 22 secs into extra time. Cameron Moffitt, Simon Feig and Robert Freckelton scored the other Uxbridge goals as Ryan McConkey was stellar in goal for the Bruins. Bruins host the Clarington Eagles on Tues. Jan.30th at 8:30pm at the Bear Den. Comments Off on Bruins’ Damien Heinle Injured During The Game Tonight! Bruins’ Damien Heinle Injured During The Game Tonight! 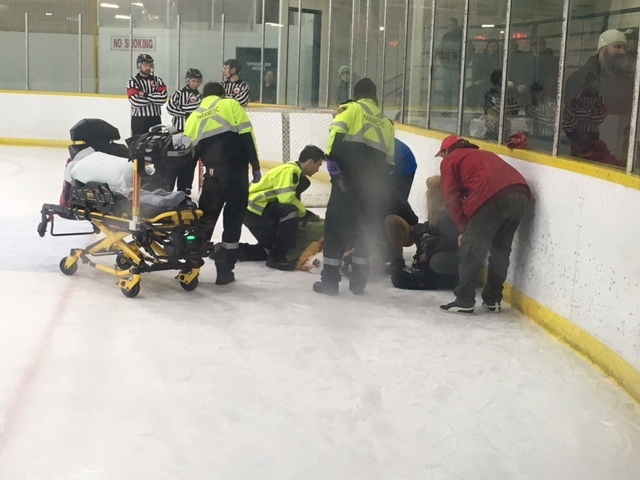 Thanks to our trainer Matt McGuckin and Team Doctor Pat Kiely as well as the Merchants Trainer Terry Quibell and EMS for attending to #28 Damien Heinle of the Bruins, who was injured after a check into the boards. Heinle was taken to the hospital and the latest news we have is that he was in good spirits as he waited to see the Doctor at the Uxbridge hospital. Damien had a big goal during the game to give his mates a 4-1 lead and that stood up as the winner as the team played the rest of the game with Damien on their mind. Noah Donaghy, Aiden Reilly, Travis Buxcey (APM), Michael Rennie and Daniel Wu scored the other goals in a 6-3 final. Jake Joosten picked up the win in goal. Damien’s health though, is all the matters right now. Get well soon Damien! Bruins are in Apsley Sat Jan.27th and at home to Clarington Tues. Jan.30th for a 8:30 pm game. Comments Off on Bruins add 2 New Players to their Lineup! Bruins add 2 New Players to their Lineup! 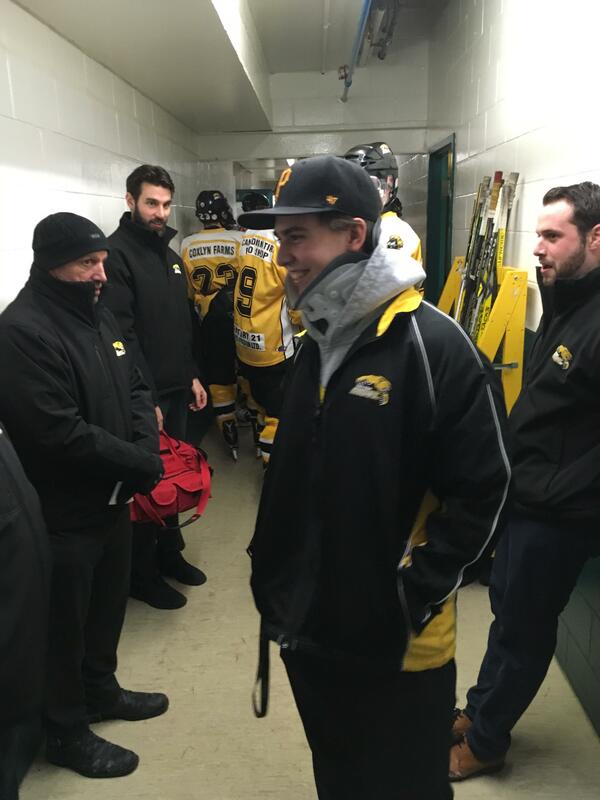 The Uxbridge Bruins are pleased to announce that we have signed a pair of new players Adrian Addante and Hunter Smoke. Both players are expected to make their debut tonight at the Bear Den for our 7:45 p.m. match-up against the Little Britain Merchants. Adrian is a defenceman from Stouffville who comes to Uxbridge after spending the past 3 seasons with the Georgina Ice. Hunter is a forward from Bradford who was most recently with the Caledon Golden Hawks. 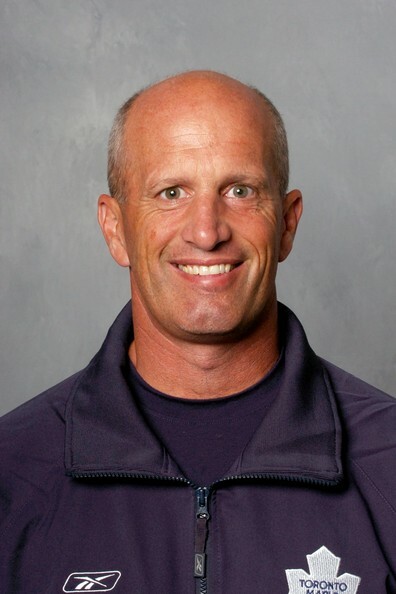 Comments Off on Former NHL-er Keith Acton Joins Bruins Coaching Staff! Former NHL-er Keith Acton Joins Bruins Coaching Staff! Head Coach Robbie Acton and General Manager Mark Savery are pleased to announce that Keith Acton one of the best face off men and 15 year NHL player as well as 16 years as an Assistant Coach in the NHL including 9 years with the Toronto Maple Leafs, has joined the Coaching staff of the Bruins. Keith joins Assistant Cliff Freckelton and Robbie behind the bench this Friday Jan.26th at the Bear Den. Keith is a resident of Stouffville and I’m sure he will enjoy working behind the bench again as the Bruins get set to finish the regular season and prepare for the playoffs. 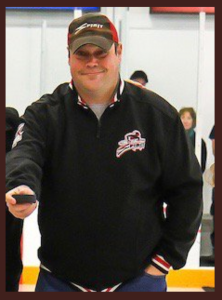 Mr Acton becomes the 3rd member of his family to join the Bruins with his son Will having played one year here before moving up to the Stouffville Spirit of the OJHL. Welcome aboard Keith as we are very excited to have you aboard with the Bruins Family! Uxbridge fell behind 2-0 to the Knights in the second after a scoreless first before Aiden Reilly got them on the board on the power play. 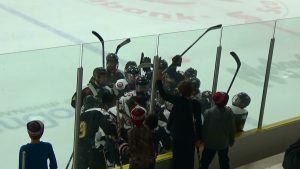 Derek Dolan scored just 59 seconds into the third to tie it up at two’s however the Knights Ethan Coens got the winning goal on the powerplay and they sealed it with an empty netter to hand Uxbridge the loss. Ryan McConkey was stellar in goal for the Bruins once again! Comments Off on Stouffville Spirit to Honour Long time Volunteer Wayne Jones! Stouffville Spirit to Honour Long time Volunteer Wayne Jones! The Uxbridge Bruins on behalf of Mark Savery Director of Hockey Operations/General Manager, congratulate Wayne Jones a long time volunteer with the Stouffville Spirit on his many years with the hockey club. The Stouffville Spirit will be celebrating Wayne’s Birthday on Feb 19th 2:30 pm which is Family Day when they host the Newmarket Hurricanes. For more Details see the Article from the Stouffville Spirit and Team Broadcaster Brad Barton on the Spirit FaceBook page. Comments Off on Bruins lose in OT to the Ice! Bruins lose in OT to the Ice! Georgina Ice defeated the Bruins 5-4 in overtime on Ryan McBurney’s goal 1 min into extra time. Uxbridge got two goals from Aiden Reilly and singles from Simon Feig and Carson Bell. Ryan McConkey took the loss in goal facing 25 shots as the Bruins fired 31 at Jacob Lebel in the Ice net. Next up is North Kawartha this Friday at the Bear Den. Comments Off on Tonight’s Game Jan.12/18 CANCELLED! The game between the Uxbridge Bruins and the Clarington Eagles Fri. Jan.12/18 has been cancelled due to the weather! It will be rescheduled! Safety of the Players, Staff and Executive of the Bruins, Eagles and our Fans are of Priority in these weather conditions. Comments Off on Bruins Back in the Win Column with Thrilling OT Win in Port Perry! 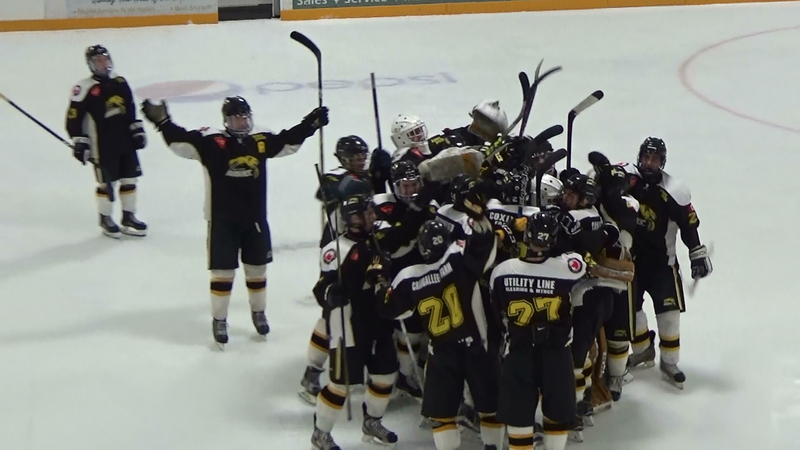 Bruins Back in the Win Column with Thrilling OT Win in Port Perry! The Bruins lifted a big weight off their shoulders with a “HUGE WIN” this afternoon in Port Perry. After dropping their last 6 games they came out flying opening up a 2-0 lead on goals by Michael Rennie and Mathew Hunter, allowing one goal to the Mojacks for a 2-1 lead after one. In the second period Travis Buxcey (APM) scored his first goal in junior c and adding to that was Cameron Moffitt on a beautiful end to end rush while short handed. Then it was penalty trouble allowing the Mojacks to take the momentum away as they scored 2 power play goals to trail 4-3 after the second period. In the third another power play goal tied it up but Uxbridge killed off a penalty in the last 2 minutes of the third to send this to overtime. It took just 1:15 into the extra time for Simon Feig to intercept a cross ice pass and rush up the ice slipping the puck past the lone defender and firing stick side as he cut to the right to send the Bruins Players and Fans into a huge win celebration. Ryan McConkey made several keys saves in the game as he faced 57 shots. The Bruins host the Clarington Eagles on Fri. Jan. 12th at the Bear Den.